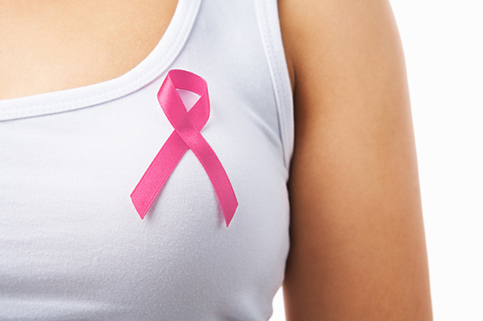 In 2015, approximately 231,840 new cases of invasive breast cancer will be diagnosed among women in the U.S., according to the American Cancer Society. 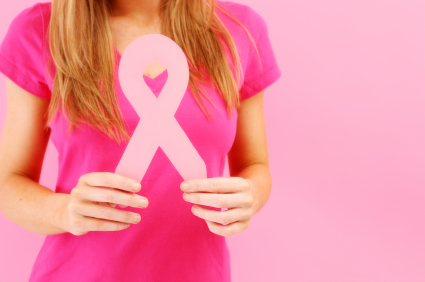 Breast cancer is the second leading cause of cancer death in women, after lung cancer. The good news is that the risk of dying from breast cancer has been dropping since about 1989, with greater decreases seen in women younger than 50. At this time, there are more than 2.8 million breast cancer survivors in the U.S., including many famous faces who have bravely come forward to draw attention to the disease. 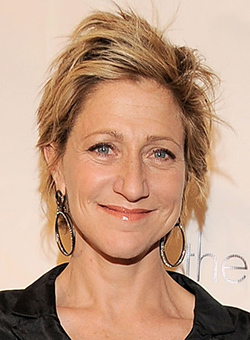 Here's an update on 14 fearless celebrities who have been diagnosed with breast cancer. Status: Undergoing treatment as of August 2015. Celebrity chef and longtime girlfriend of New York State Governor Andrew Cuomo, Sandra Lee announced that she had been diagnosed with ductal carcinoma in situ (DCIS) in May 2015 at age 48 following a routine screening mammogram. Actress Rita Wilson and wife of Tom Hanks was diagnosed with invasive lobular carcinoma in April 2015 at age 58. Status: Recently given the all clear! ABC News' Amy Robach was diagnosed with breast cancer on air after she reluctantly underwent a mammogram on Good Morning America. 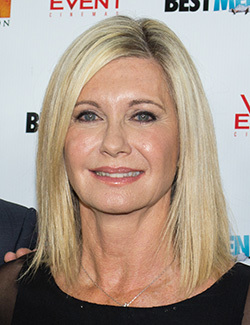 Songstress and Grease star Olivia Newton John was diagnosed with breast cancer in 1992. She founded the Olivia Newton-John Cancer & Wellness Centre, in Melbourne, Australia. 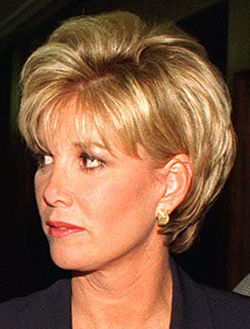 Former Good Morning America co-host Joan Lunden was diagnosed with triple negative breast cancer (a rare and aggressive form of breast cancer) in June 2014 at the age of 63. Status: More than one year cancer free! Giuliana Rancic, talk show host and reality TV star, was diagnosed with early-stage breast cancer in October 2011 at age 36. This was the same year she and husband Bill welcomed a baby boy. 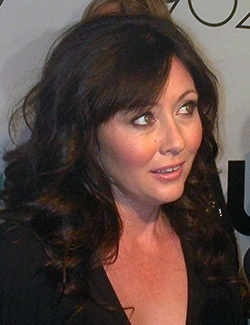 She founded Fab-U-Wish, a charity to help women feel their best as they cope with fighting cancer. 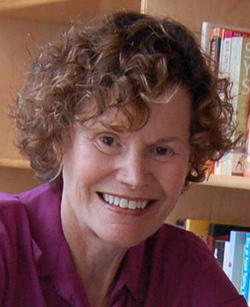 Judy Blume, author of Are You There God? It's Me, Margaret and a laundry list of other young adult classics, was diagnosed with breast cancer in 2012, at the age of 74. 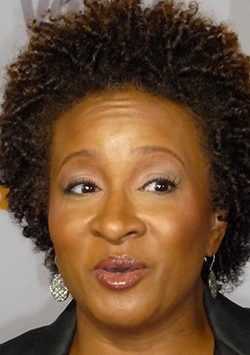 Comedienne Wanda Sykes was diagnosed with breast cancer in 2011, at age 47, during a follow-up to her breast reduction surgery. Singer/songwriter Sheryl Crow was diagnosed with breast cancer in 2006, at age 44. 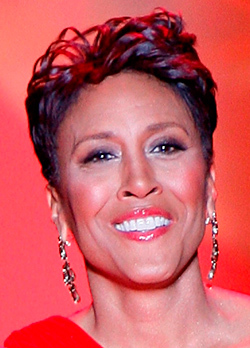 Beloved Good Morning America anchor Robin Roberts was diagnosed with breast cancer in July 2007, at age 46. Status: Roberts was diagnosed with a rare bone marrow disease, myelodysplastic syndrome, several years after beating breast cancer. This may have been a result of the radiation therapy. Currently, she is back on the air and reportedly doing great. Today show co-host and Kathie Lee Gifford sidekick Hoda Kotb was diagnosed with breast cancer in 2007, at age 43. 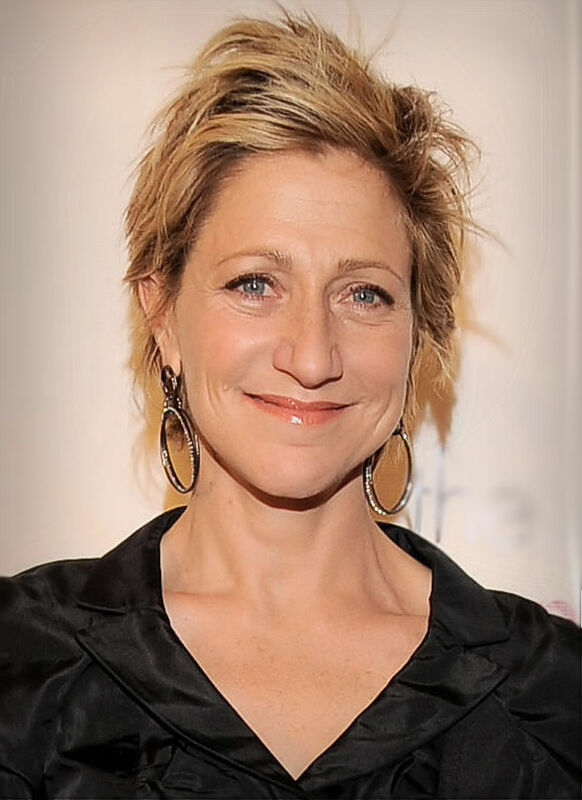 Actress Edie Falco, who plays TV's Nurse Jackie and played Carmela Soprano on HBO's The Sopranos, was diagnosed with breast cancer in 2003, at age 40. There are many other famous names as well as non-celebrity who have been diagnosed with breast cancer and subsequently fought their way back to health. Sadly, many others have passed away as a result of the cancer. Some are young. Some are old. Some had preexisting risk factors such as family history, while others had none. Some are even men. Whoever you are, wherever you are, www.breastimplants4you.com and Ceatus Media Group salute you during Breast Cancer Awareness Month and throughout the rest of the year. Stay strong.